From #1 New York Times bestselling author Brandon Sanderson comes a new novella collection, including a brand new, never-been-published story. Stephen Leeds is perfectly sane. It's his hallucinations who are mad. A genius of unrivaled aptitude, Stephen can learn any new skill, vocation, or art in a matter of hours. However, to contain all of this, his mind creates hallucinatory people -- Stephen calls them aspects -- to hold and manifest the information. Wherever he goes, he is joined by a team of imaginary experts to give advice, interpretation, and explanation. He uses them to solve problems . . . for a price. His brain is getting a little crowded and the aspects have a tendency of taking on lives of their own. When a company hires him to recover stolen property -- a camera that can allegedly take pictures of the past -- Stephen finds himself in an adventure crossing oceans and fighting terrorists. What he discovers may upend the foundation of three major world religions -- and, perhaps, give him a vital clue into the true nature of his aspects. Legion: The Many Lives of Stephen Leeds will include the novellas Legion and Legion: Skin Deep, published together for the first time, as well as a brand new Stephen Leeds novella, Lies of the Beholder. 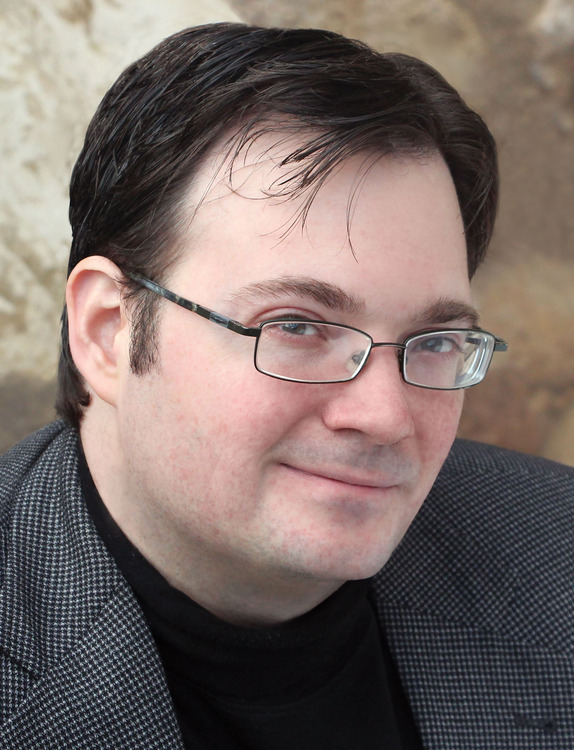 I'm Brandon Sanderson, and I write stories of the fantastic: fantasy, science fiction, and thrillers. November 2018 marks the release of Skyward, a new YA trilogy about a girl who dreams of becoming a pilot in a dangerous world under alien attack. Also out this year is the final volume of the Stephen Leeds saga, Legion: Lies of the Beholder, which will also be published in an omnibus edition, Legion: The Many Lives of Stephen Leeds, that will include all three volumes. Last year we saw the release of Oathbringer, the third massive book in the New York Times #1 bestselling Stormlight Archive series that began with The Way of Kings. This series is my love letter to the epic fantasy genre, and it's the type of story I always dreamed epic fantasy could be. Most readers have noticed that my adult fantasy novels are in a connected universe, called the Cosmere. This includes The Stormlight Archive, both Mistborn series, Elantris, Warbreaker, and various novellas available on Amazon, including The Emperor's Soul, which won a Hugo Award in 2013. In November 2016 all of the existing Cosmere short fiction including those novellas was released in one volume called Arcanum Unbounded: The Cosmere Collection. If you've read all of my adult fantasy novels and want to see some behind-the-scenes information, that collection is a must-read. I also have three YA series: The Rithmatist (currently at one book) , The Reckoners (a trilogy beginning with Steelheart) , and Skyward. For young readers I also have my humorous series Alcatraz vs. the Evil Librarians. Many of my adult readers enjoy all of those books as well, and many of my YA readers enjoy my adult books, usually starting with Mistborn. Additionally, I have a few other novellas that are more on the thriller/sci-fi side. These the Legion series, as well as Perfect State and Snapshot. There's a lot of material to go around! Good starting places are Mistborn (a.k.a. The Final Empire) , Skyward, Steelheart, The Emperor's Soul, and Alcatraz vs. the Evil Librarians. If you're already a fan of big fat fantasies, you can jump right into The Way of Kings. I was also honored to be able to complete the final three volumes of The Wheel of Time, beginning with The Gathering Storm, using Robert Jordan's notes. Sample chapters from all of my books are available at brandonsanderson.com/library -- and check out the rest of my site for chapter-by-chapter annotations, deleted scenes, and more.